It is extremely important that a school administration understands the presence and magnitude of this problem. 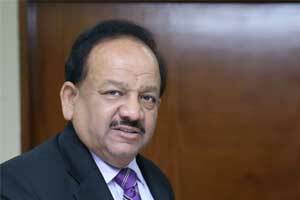 New Delhi: Amid a rise in health-related problems due to increase in air pollution in the national capital, Union Environment Minister Harsh Vardhan recelaunched a manual on asthma detailing how school administrations must behave in case of an emergency. The manual is a compilation of simple, easy-to-understand information on childhood asthma and the best practices that schools can implement to provide a safe and supportive environment for children. Vardhan said the manual will help school administrations in dealing with emergencies associated with breathing problems. The manual comes as Delhi continues its battle with increasing pollution levels which has been oscillating between very poor and severe categories. The manual is an initiative of Lung Care Initiative, supported by the Environment Ministry. The manual is a “must read” for teachers, parents and school administrations, and lists causes, symptoms and treatment of asthma, officials said. The medicines for asthma included relievers, inhaler devices, nebulisers. The manual also lists the side effects of asthma medicines that include rapid heartbeat and hyperactivity in children. Highlighting the importance of this initiative, Abhishek Kumar, CEO and co-founder, Lung Care Foundation, said with an increasing number of children with an asthmatic tendency in India, such information becomes all the more important. Over 10 per cent of school-going children suffer from asthma. Poorly-controlled asthma can lead to retardation of physical growth in a child. It may also cause psychological impact from absenteeism and inability to keep up with the peer group because of the child’s frequent visits to medical care facilities. All the above are preventable and thus it is extremely important that a school administration understands the presence and magnitude of this problem.